Students in Marshfield were able to get real hands-on experience at an event put on by Staab Construction. With an aging workforce in the construction field, the Department of Workforce Development is trying to get local students interested in the field early. Feb. 16, students in Marshfield were able to get real hands-on experience at an event put on by Staab Construction. 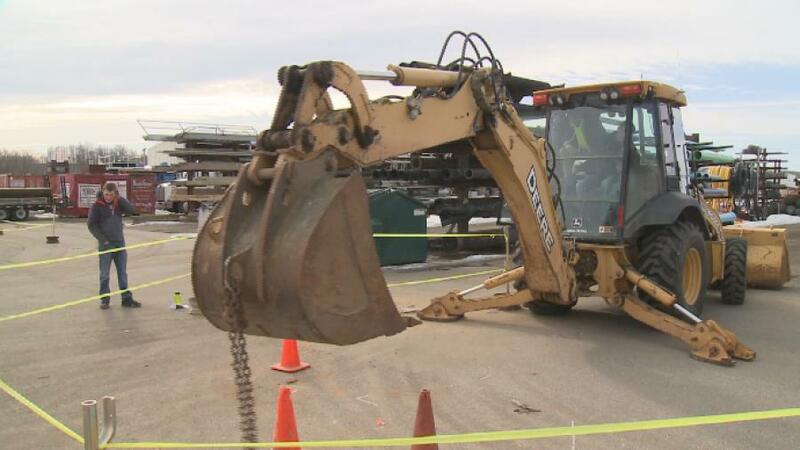 They got a chance to handle real equipment like back-hoes and cranes, and talk with a number of businesses about jobs. "We know that we have to step outside the box to get kids interested, so we're willing to put on a day like today, to make that happen. And I think, any industry that needs workers in the future are gonna have to showcase what they do and what the benefits of working in that industry are," said Staab Construction operations manager Dan Neve. For more intense equipment, students were able to try simulators to get the experience. For more on the story, visit http://url.ie/11os3.